Description: Unidentified male standing in the doorway of the Ephraim Bales log cabin. South view. 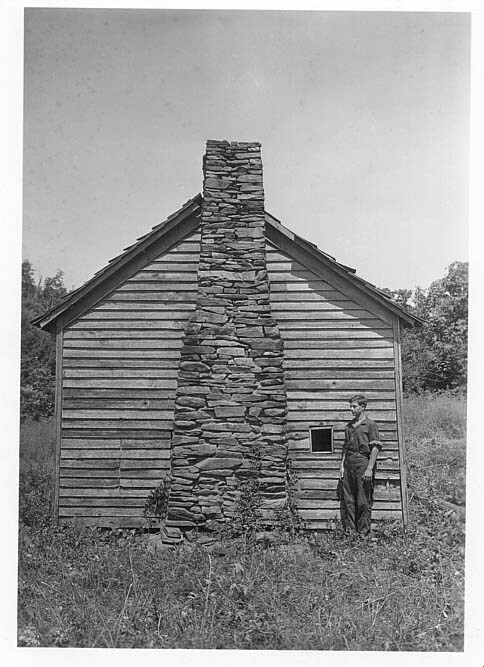 Shows stone chimney.